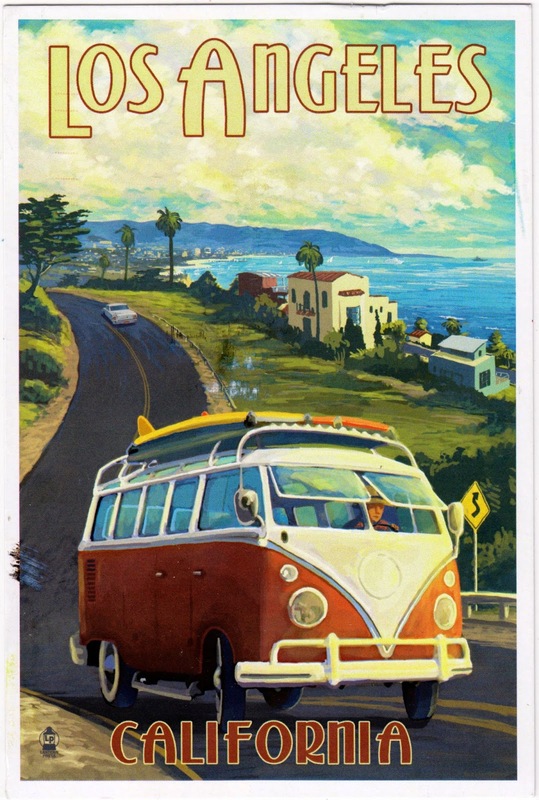 Postcard US-3202842 from Los Angeles was a vintage travel postcard by Lantern Press showing a Volkswagen Samba Bus cruising along the Los Angeles coast. First produced in 1951, Samba-Bus, also known as Deluxe Microbus, was the most luxurious version of the Volkswagen Transporter T1 with panoramic windows and a fabric roof. It became popular as a hippie bus in the 1960s.